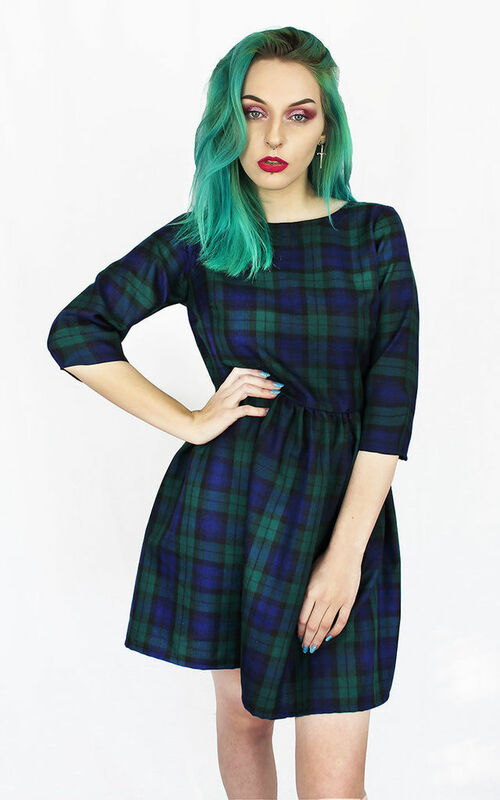 This cute Tartan Skater Dress has the most perfect Autumn Blackwatch print in Navy/Green. It has 3/4 length sleeves in a fitted skater style with zip up the centre back. The skater shape is flattering for any body type. Perfect for the Autumn season teamed with chunky sandals and a Denim Jacket or casual with Mary Janes and tights.